Việt Nam’s U19 women’s football team crushed Jordan 4-0 in the last qualifying match of Group E at the Asian Football Confederation (AFC) U19 Women’s Championship qualifications yesterday. The game was held at the Việt Nam Youth Football Training Centre in Hà Nội. With this result, Việt Nam topped Group E and secured a place in the second round of qualification. Earlier, they defeated Singapore 11-0 and Malaysia 2-1. Following the two consecutive wins, the hosts Việt Nam played very confidently from the opening whistle. Captain Tuyết Ngân had the opener for the hosts in the fourth minute after overcoming an interception by a Jordanian defender. Three minutes later, Ngân once again added to the scoresheet with a devilish shot to beat Jordan’s goalie. After that, coach Mai Đức Chung asked his players to slow down. However, in the 25th minute, Ngân once again raised the score to 3-0 for Việt Nam. Receiving a pass from Thu Xuân, Ngân coolly headed the ball to make Vietnamese fans jump for joy. After the break, the Vietnamese side still dominated the game with their flexible style. Meanwhile, Jordan’s defence had lost their focus. In the 81st minute, Vạn Sự fixed the match’s score at 4-0 for the hosts. 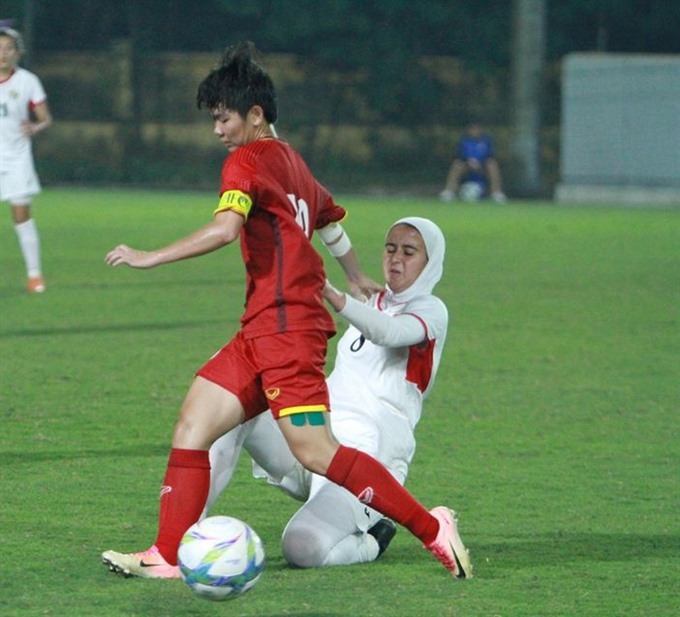 The 2019 AFC U19 Women’s Championship qualifiers brought together 30 teams that played in a round robin tournament in three groups of five and three groups of four. The six group winners and the two best runners-up will advance to the second round of qualification. The eight qualifiers for the second round will compete in a round robin format in two groups to decide the top two teams from each group that will make it through to the finals in Thailand, which will also feature the three wild card winners (Japan, North Korea and China) and hosts Thailand.